It is very important to treat seizures in a baby because seizures can cause brain damage. Hypoxic ischemic encephalopathy (HIE) is the most common cause of seizures during the neonatal period, and many babies with HIE and seizures are later diagnosed with cerebral palsy, intellectual disabilities, developmental delays, and hydrocephalus. Almost half of all children with cerebral palsy have a seizure disorder. Cerebral palsy is the most common cause of physical disability in childhood, and a seizure disorder / epilepsy is the most common childhood neurologic condition. If your baby has a seizure disorder, hypoxic ischemic encephalopathy (HIE), intellectual disabilities, cerebral palsy or any other long-term condition, Reiter & Walsh ABC Law Centers can help. The award winning birth injury attorneys at Reiter & Walsh focus solely on birth injury cases and have been helping children throughout the nation for almost 3 decades. 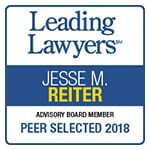 The partners of the firm, Jesse Reiter and Rebecca Walsh, were recently recognized as two of the best medical malpractice lawyers in America by U.S. News and World Report 2015. In fact, U.S. News and World Report has given Mr. Reiter the honor of being one of the “Best Lawyers in America” every year since 2008. ABC Law Centers is also currently recognized as one of the best medical malpractice law firms in the nation by U.S. News and World Report 2015. Call us today and we will evaluate your case for free to determine if negligence played a role in your child’s injury. Our firm’s award winning birth injury attorneys are available 24 / 7 to speak with you and no fees are every paid to our firm until we win your case. Seizures occur from abnormal electrical discharges in the brain caused by nerve damage or problems with the brain’s chemistry. Seizures can cause involuntary jerking movements lasting from a few seconds to a few minutes and can affect normal brain functioning. Seizures can also affect a baby’s level of consciousness, but often, there are no outward signs that a baby is having a seizure. The different types of seizures are listed below. Subtle seizuresare often difficult to see. They occur most frequently in premature infants and are the most frequent type, comprising about 50% of all newborn seizures. There may be some bicycling-type movement, fixation of gaze, or repetitive facial movements. Clonic seizuresin infants are marked by a slow rhythmic jerk of one part of the body. This type of seizure represents about 25% of all seizures in newborns. Myoclonic seizures– also known as infantile spasms – involve rapid twitching or jerking movements and are the most serious, often indicating severe brain damage. Tonic seizuresaccount for about 5% of infants with seizures and cause sustained contractions. Sometimes the eyes may roll upward and breathing may stop for a period of time. HOW WILL THE PHYSICIAN BEGIN TO TREAT MY BABY’S SEIZURES? The first choice for seizure treatment is a medication called phenobarbital because physicians have much more experience with it. The newer drugs levetiracetam and topiramate seem promising in babies who cannot tolerate phenobarbital. In most cases, term babies should receive different medications than premature babies because they have different channels in the brain. Babies receiving hypothermia treatment for hypoxic ischemic encephalopathy (HIE) must be assessed differently than babies not receiving HIE treatment. Topiramate may be beneficial when administered along with hypothermia treatment. A medication called bumetanide seems to be the most promising for term newborns due to its very specific mode of action. In addition, research indicates that bumetanide used in combination with phenobarbital may actually reverse damage in the brain caused by seizures. Dosages for anti-seizure medications should be based on gestational age. Seizures must be timely controlled, and when possible, treatments that protect the brain should be used. THE KETOGENIC DIET IS AN EFFECTIVE TREATMENT FOR NEONATAL SEIZURES. When anti-seizure medications are not well-tolerated by the baby or are not adequately controlling the baby’s seizures, a ketogenic diet may be considered. Research has consistently shown the ketogenic diet to be effective in reducing the incidence of seizures in adults, children and babies. In fact, research shows that the infant brain may be able to obtain greater benefits from this diet than the adult brain. The ketogenic diet is typically used for babies with intractable seizures (seizures that don’t respond to medication), but there are other instances in which this diet may be appropriate, such as when the baby experiences adverse reactions to anti-seizure medication. Children with infantile spasms respond best to the ketogenic diet. Infantile spasms can be caused by birth injuries, such as a brain infection (encephalitis or meningitis) or hypoxic ischemic encephalopathy (HIE). This type of seizure is very serious because it often involves the baby having seizures in clusters of up to 100 spasms at a time. Babies may have dozens of clusters and several hundred spasms per day. As seizure duration, frequency and severity increase, so do the risks of permanent brain damage in the baby. Indeed, the ketogenic diet is a safe and effective treatment for babies who have seizures that are not easily controlled by anti-seizure medications. The diet consists of a high-fat diet with very few carbohydrates and adequate protein. The ketogenic diet is believed to trigger biochemical changes that eliminate the short circuits in the brain’s signaling system that causes seizures. The effectiveness of the diet is largely due to the ketones it causes the body to produce. Babies can be fed a formula-only ketogenic diet. Many neurologists feel that the ketogenic diet is an effective treatment that is probably underutilized. The diet does, however, cause some metabolic changes that may adversely affect a child’s cholesterol level, bone development, growth and weight gain. Thus, the ketogenic diet should only be undertaken with the supervision of the baby’s physician and regular tests to assess the impact of the diet on the child. Birth asphyxia and hypoxic ischemic encephalopathy (HIE) often cause seizures and cerebral palsy. Birth asphyxia refers to oxygen deprivation in the baby caused by an event that occurs during or near the time of delivery. HIE is an injury to the brain caused by a lack of oxygen. This oxygen deprivation in the brain can be caused by a lack of oxygen in the baby’s blood or a reduction/restriction of blood flow in the brain. Fetal stroke. The majority of babies with ischemic perinatal stroke develop seizures. If your child has a birth injury, such as a seizure disorder, hypoxic ischemic encephalopathy (HIE) or cerebral palsy, contact the award winning birth injury attorneys at Reiter & Walsh ABC Law Centers. Reiter & Walsh is a national birth injury law firm that has been helping children for decades. 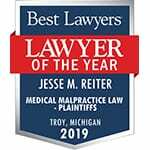 Attorney Jesse Reiter, president of the firm, has been focusing solely on birth injury cases for over 28 years, and most of his cases involve hypoxic ischemic encephalopathy (HIE) and cerebral palsy. Jesse is currently recognized as one of the best medical malpractice attorneys in America by U.S. News and World Report 2015, which also recognized ABC Law Centers as one of the best medical malpractice law firms in the nation. The birth injury attorneys at ABC Law Centers have won numerous awards for their advocacy of children and are members of the Birth Trauma Litigation Group (BTLG) and the Michigan Association for Justice (MAJ). The nationally recognized attorneys at Reiter & Walsh have helped children throughout the country obtain compensation for lifelong treatment, therapy and a secure future. 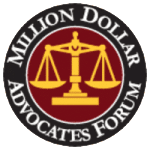 Our firm has numerous multi-million dollar verdicts and settlements that attest to our success and no fees are ever paid to our firm until we win your case. Email or call Reiter & Walsh ABC Law Centers at 888-419-2229 for a free case evaluation. We give personal attention to each child and family we help and our award winning birth injury attorneys are available 24 / 7 to speak with you. Watch a video of birth injury attorneys Jesse Reiter and Rebecca Walsh discussing how birth injuries can cause seizures in a baby and the importance of promptly treating neonatal seizures.